It’s mid October folks! Can’t believe we are on the far side of the calendar year already! All thought temps here are still near 90 degrees during the day, the mornings are starting off cool and we can feel Autumn in the air! Right besides Christmas, Fall décor is one of my favorite seasonal decorating times! Check out some of these beautiful elements you can add to your home this season! We plan on painting some pumpkins this year since the kids are still little. Last year we carved and we basically ended up doing all the work:0) With a little guidance I’m sure we will end up with some pretty painted pumpkins like the ones below. With some painters tape the zigzag ones should be pretty easy to make, right? Stripes and polka dots are a simple pattern to duplicate as well. I love the painted house number from My Sweet Savannah! Lets not forget about the front door. 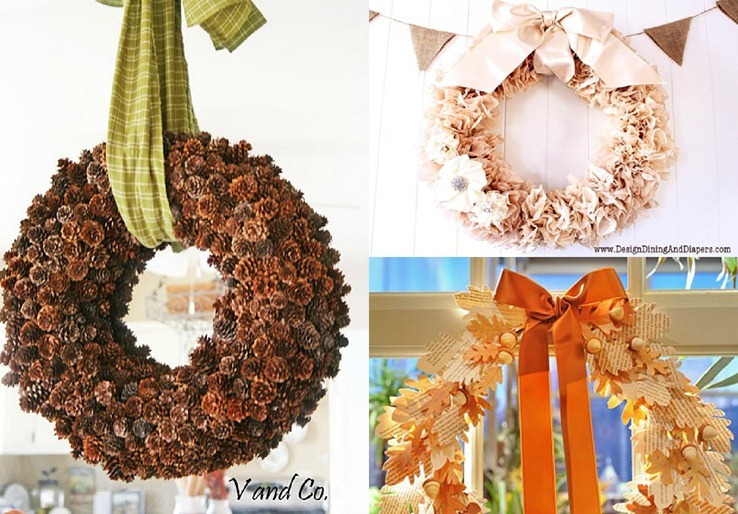 We have a similar pinecone wreath like the one from V and Co hanging on our door. I picked up from Target a few years back when it was on clearance. I love using natural elements when it comes to autum decorating. What about you? I’ve always been a sucker for a great tablescape. 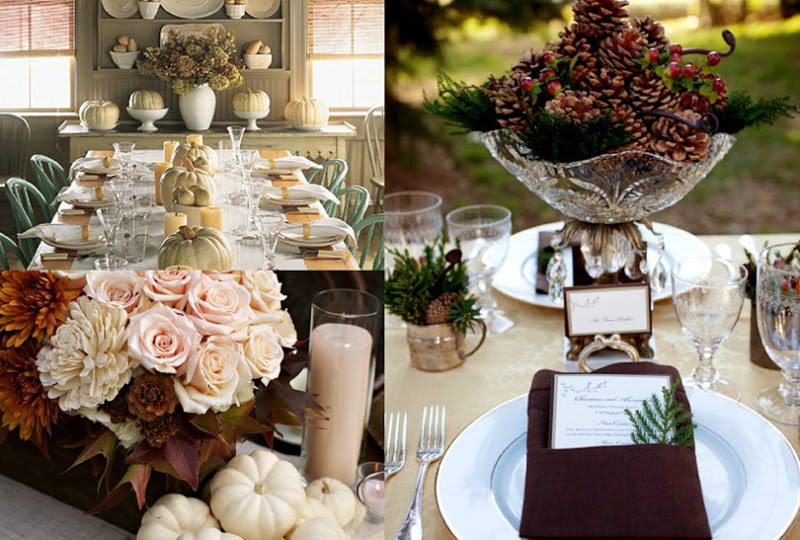 We host thanksgiving each year and all these tables are so inspiring. Even though it is a bit of a fuss to collect everything and set it. Guests ALWAYS appreciate a beautiful table with a touch of personality! Hopefully, you’re inspired to start setting out a few pumpkins here or there! Someone emailed me recently and asked if I decorate for Halloween. 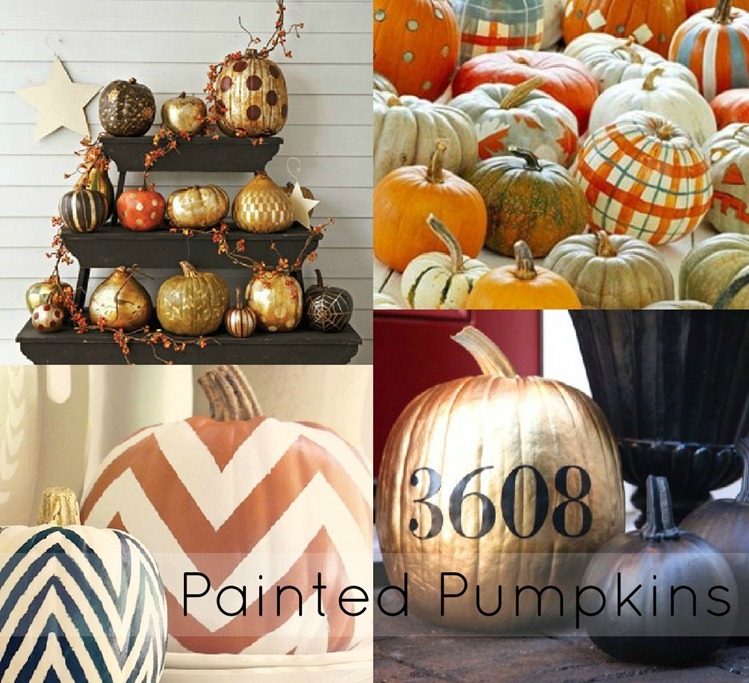 I have in the past but, I like fall décor so much more! We put a few spiders out just to make the kids happy..lol! But for the most part I just decorate for fall and keep it up for about three months. September, October and November! I love all of those! Fall is my favorite time of the year to decorate! We painted pumpkins last year. I’d love to do a pumpkin painting night with all my girl friends next year. Can’t you just see it? chevron, glitter, the works! you’ll be invited! Fall is one of my faves!